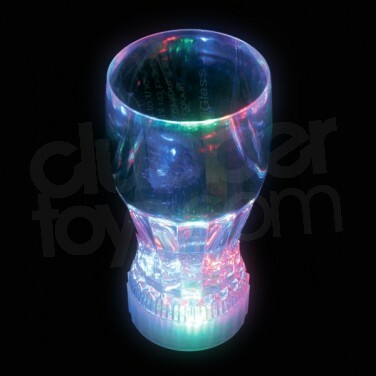 The flashing coke glass will add some sparkle to your party or event! Flashing Cola Glass Light up your drinks in fantastic strobing colour with the Flashing Coke Glass. Brilliant for offering to guests or simply for enjoying on your own, they'll add a little disco to your drinks.